The Graduate School of Education & Information Studies (GSE&IS) is UCLA’s history and its destiny. The university began with the founders’ vision of a teacher’s college. With that legacy, we have built a dynamic school where people learn about learning—and so much more. Two departments comprise 16 research centers and institutes, including the Higher Education Research Institute, which conducts the largest ongoing national study of college students in the U.S.; Center X, dedicated to dramatically changing schooling for the underserved students of Los Angeles; The Center for Improving Child Care Quality and the UCLA Black Male Institute. In addition, our two partnership schools serve the community and advance groundbreaking work in education. 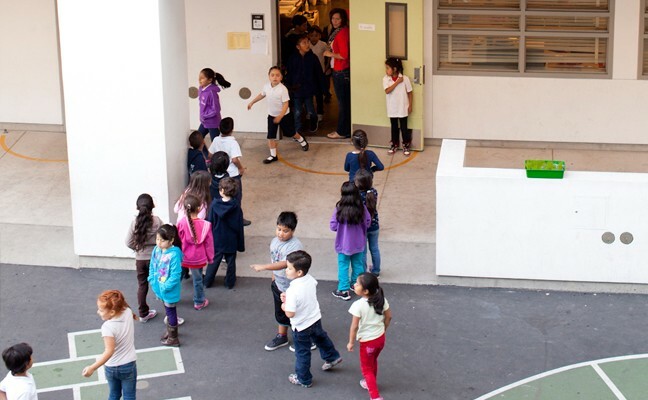 A public pilot school for LAUSD, the UCLA Community School enrolls a thousand neighborhood children from kindergarten through the senior year of high school. 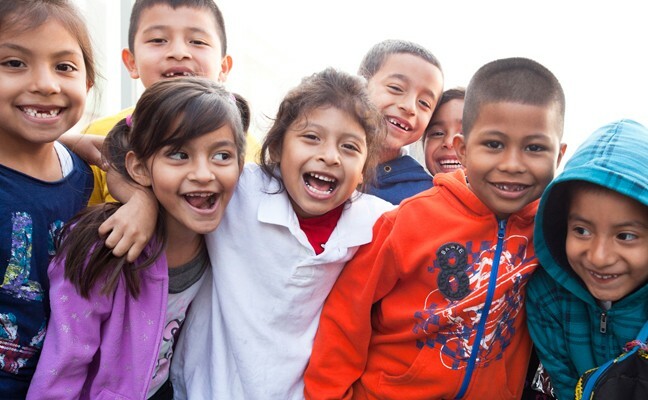 Many of these children have poor or immigrant parents; more than half are classified as “limited English proficient.” The Community School emphasizes multi-age and bilingual learning and enrichment programs to enhance curriculum. The result: 96 percent of the school’s Den 1 students were reading at grade level in Spanish or English at the end of 2012. 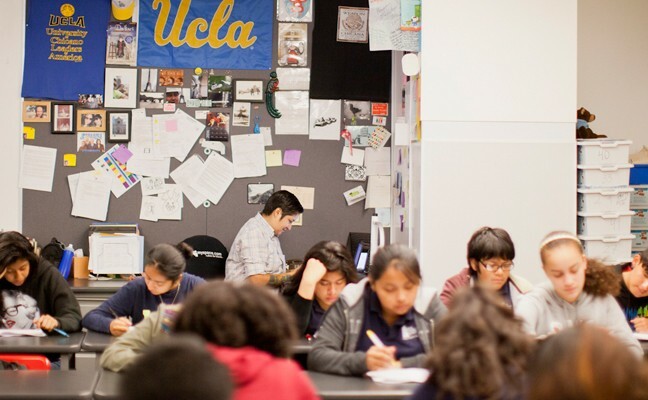 The UCLA Community School is where teaching, research and service intersect for the faculty and students of GSE&IS. UCLA Lab School at GSE&IS is a pioneering school for children and a laboratory for teachers and researchers. Here, following a curriculum aligned with state and national standards, teachers respond to children’s interests and learning needs to find new and better ways to teach and to transform lives. The Department of Education in GSE&IS informs the theory and practice of education via 12 academic programs, including the Educational Leadership Program; Principal Leadership Institute; the Teacher Education Program and Urban Schooling. The Department of Information Studies is the “IS” in GSE&IS. Its faculty educates future librarians, archivists, scholars, researchers and information professionals. Focusing on system design and end users of information and their needs, scholars study the ways people search for and use information. The quest for better ways to learn and teach is ongoing. With your help, we will continue to provide the next generation with the tools, competencies and sensibilities vital to thriving in a global economy and society. 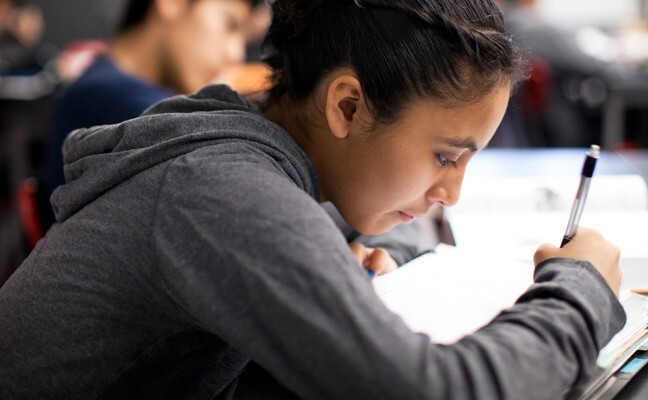 UCLA SUPPORTERS are helping transform education and information for the 21st century. Graduate school supported my unconventional career and life path. I'm grateful for that. The School of Education reaches out to serve the diverse local community. I support that!